KABUL -- A peace deal between Afghanistan and the Taliban cannot be reached without national consensus, President Ashraf Ghani said Tuesday (February 5), slamming two days of talks in Moscow that excluded the Afghan government. "The Moscow meeting is nothing more than a fantasy," Ghani told TOLOnews. "No one can decide without the consent of the Afghan people." "Those who have gathered in Moscow have no executive authority. They can say what they want," he said. 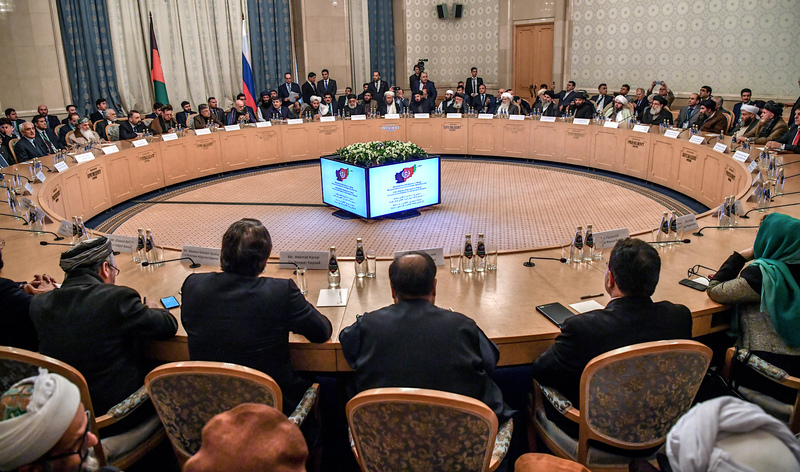 Some of Ghani's chief political rivals attended the two-day sit-down February 5-6 in Moscow. None of the government's envoys tasked with peace negotiations were invited to attend, despite Ghani's repeated offers to hold "serious talks" with the Taliban. The Russian Embassy in Kabul February 2 said it had invited "influential figures" on behalf of the "Afghan Society of Russia", a claim denounced as disinformation and a cover for official Russian government involvement in the talks. "With whom, what will they agree upon there? Where is their executive power?" Ghani said in an exclusive interview with TOLOnews. 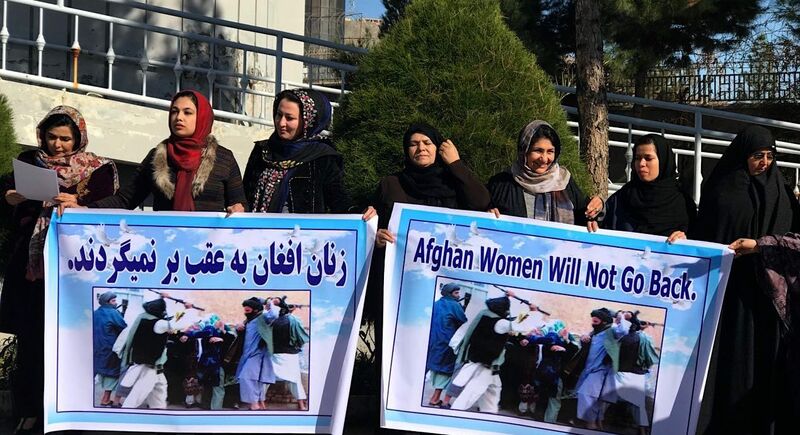 "Let hundreds of such meetings be held, but these would only be paper [agreements] unless there is an agreement by the Afghan government -- Afghanistan's National Assembly and Afghanistan's legal institutions," he said. "A peace deal cannot be reached without nationwide agreement and without legal procedures," said Ghani. Ghani said US Special Representative for Afghan Reconciliation Zalmay Khalilzad briefed him on the US negotiations with Taliban representatives in Doha last month. "All talks are shared with us. All talks are set with us. The peace talks will move step by step with our consultations and according to our plan," he said. The Taliban made several claims on Wednesday (February 6), including that the United States agreed in Doha to an interim government in Kabul, the delay of presidential elections and the withdrawal of US troops from Afghanistan. "Hundreds of rumours were made that talks had been held on an interim government," Ghani said. "You can ask Mr. Khalilzad about this. He swore a hundred times that no one talked about such a thing." Khalilzad has repeatedly stressed, "Nothing is agreed until everything is agreed. 'Everything' must include an intra-Afghan dialogue and comprehensive ceasefire". Ghani also reiterated that elections will be held July 20 as planned. "Elections will be held 100%," he said. "So be prepared to move towards the elections." 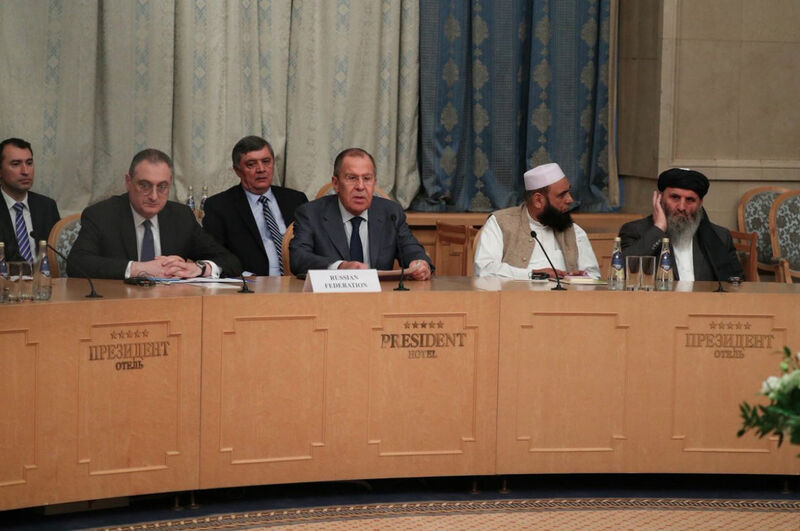 The frustration with the Taliban's lies and back-door meetings in Moscow was palpable among top Afghan officials. Amrullah Saleh, former acting minister of interior and former head of the National Directorate of Security, accused the Afghan participants in Moscow -- including Hamid Karzai, the former president -- of "begging... terrorists". "It is a MUST that an Afghan nation state represent the country within & abroad," Saleh tweeted February 6. "Afghans who agree to attend in chaotic foreign conferences, knowingly or unknowingly, reinforce the narrative of the enemy next door that we are a web of tribes & not a state. Don't be 'Useful Idiots'," he said. "Looking for peace in an enemy's home is not the right thing to do," a religious scholar in Herat said.